Click here to read a recent New York Times article by Annette Gordon-Reed about Sally Hemings, Thomas Jefferson, and the ways we talk about our past. Reconstruction was a pivotal moment in the history of race relations in America, and the law was at the center of the attempt to make black people true citizens of the United States. But we see in the Amendments to the Constitution, the supreme law of the land, both the strengths and weaknesses of effecting social change through the law. We are still grappling with these matters in the 21st Century. Is there a way out? 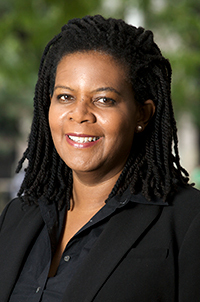 ‌Annette Gordon-Reed is the Charles Warren Professor of American Legal History at Harvard Law School and a Professor of History in the Faculty of Arts and Sciences at Harvard University; she was the Carol K. Pforzheimer Professor at the Radcliffe Institute for Advanced Study (2010-2016) and the Harold Vyvyan Harmsworth Visiting Professor of American History at Queen’s College, University of Oxford (2014-2015). She has published six books, among them The Hemingses of Monticello: An American Family (Norton, 2008), which won the Pulitzer Prize in history and the National Book Award for nonfiction. Her most recent book, with fellow Jeffersonian Peter S. Onuf, is “Most Blessed of the Patriarchs”: Thomas Jefferson and the Empire of the Imagination (Liveright Publishing, 2016). Professor Gordon-Reed has held fellowships from the Dorothy and Lewis B. Cullman Center for Scholars and Writers at the New York Public Library, the Guggenheim Foundation, and the MacArthur Foundation. In addition, she has been honored with the National Humanities Medal and the Woman of Power & Influence Award from the National Organization for Women in New York City. She was elected a fellow of the American Academy of Arts and Sciences in 2011 and is a member of the Academy’s Commission on the Humanities and Social Sciences.